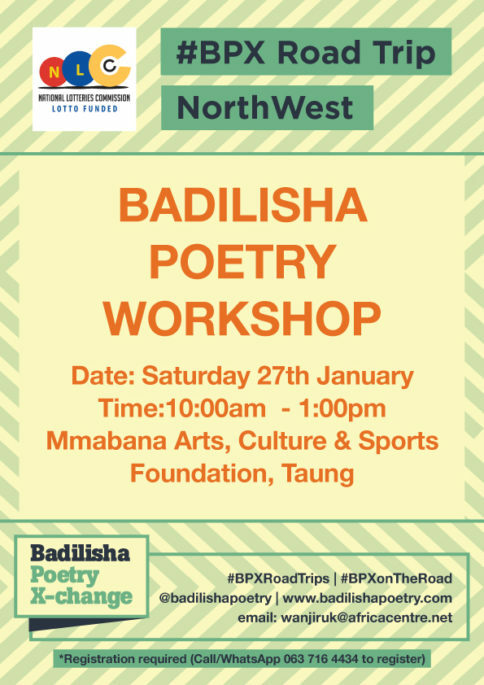 Badilisha will also host a workshop in Taung for poets who wish to improve their poetry writing and performance skill as well as explore ways to build careers from their poetry. This will take place on Saturday 27th Jan at 10:00 am – 1:00 pm in Mmabana, Taung. 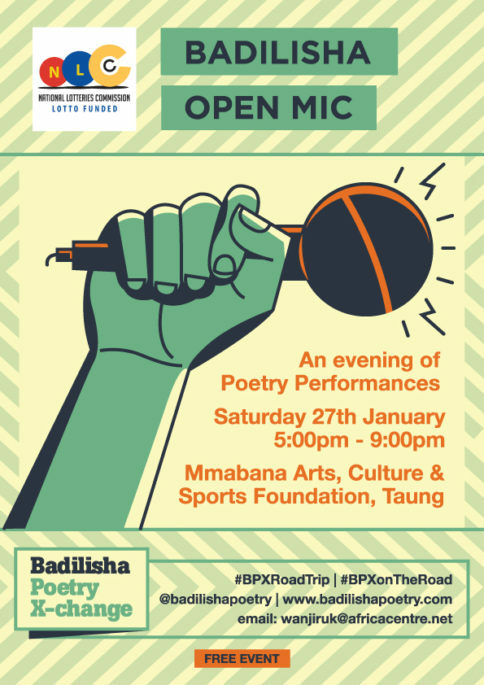 Poets are required to register for this workshop. Registration is FREE! All of this is made possible through the generous support of the National Lotteries Distribution Fund. 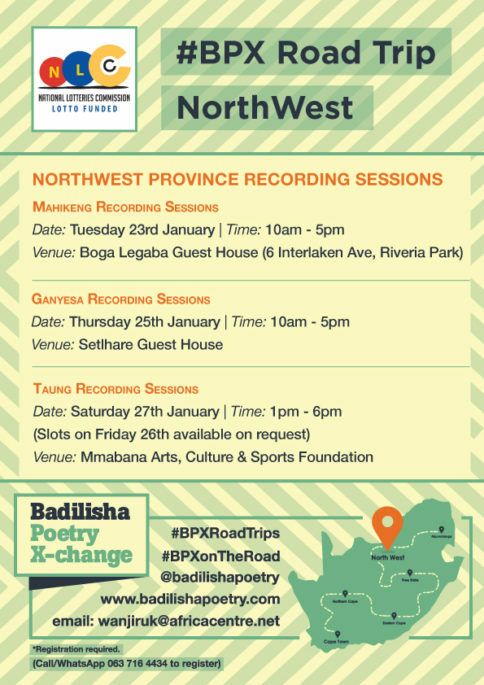 Follow Badilisha on Facebook and Twitter for regular tour updates.